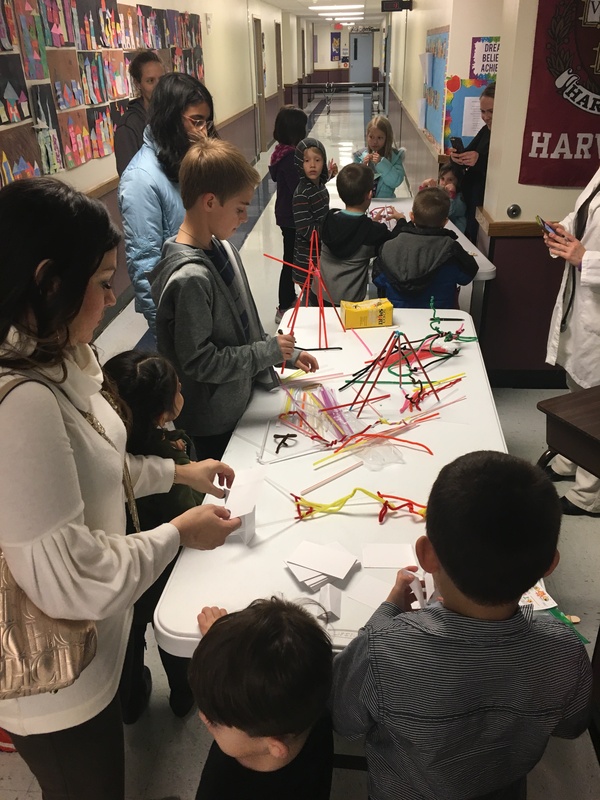 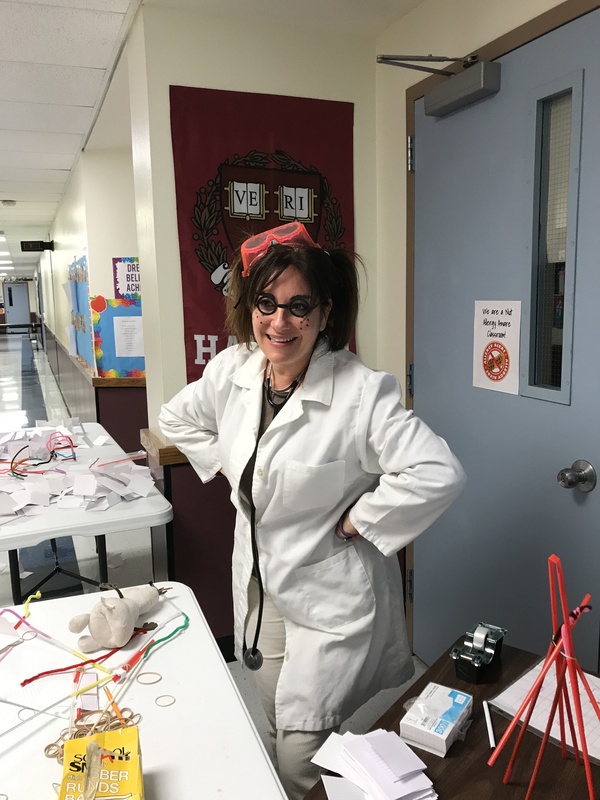 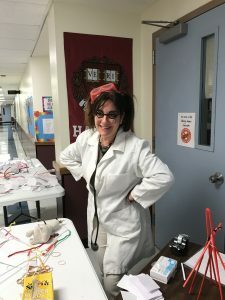 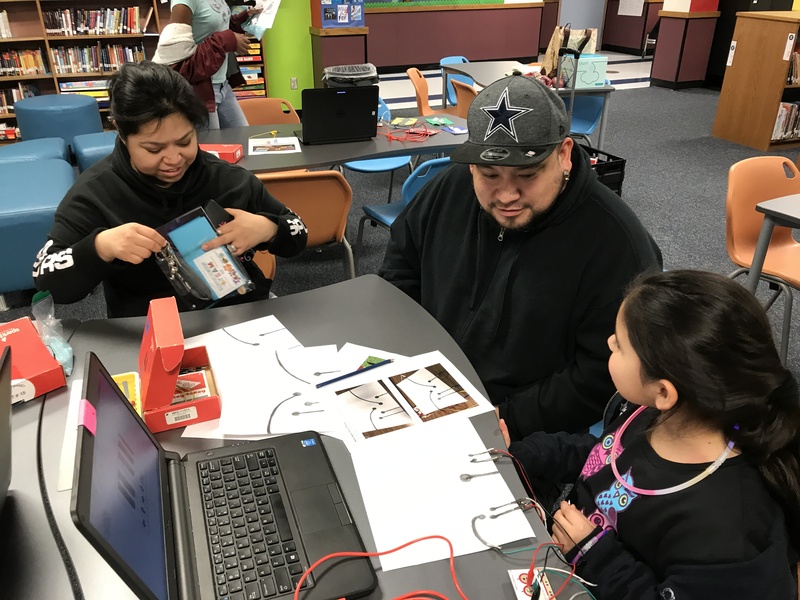 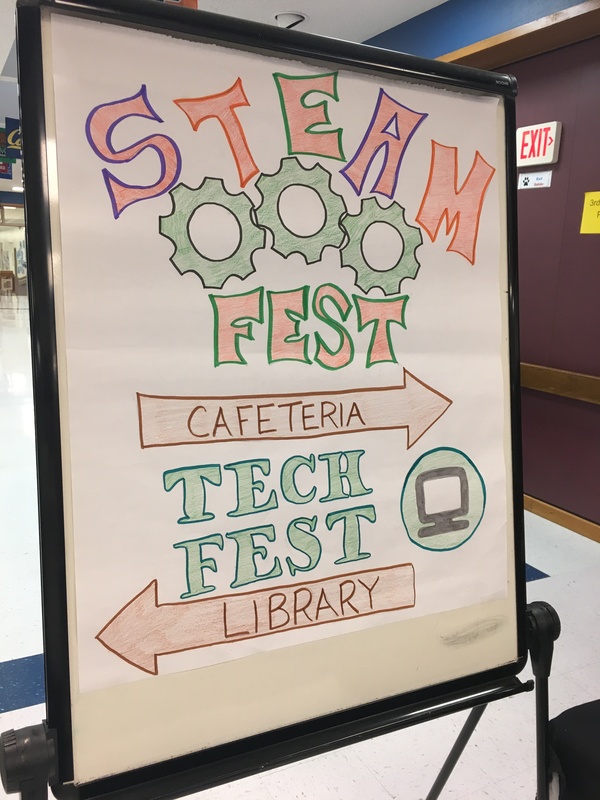 Bluebonnet Elementary hosted its first annual STEAM (Science, Technology, Engineering, Art, Math) night at the end of February. 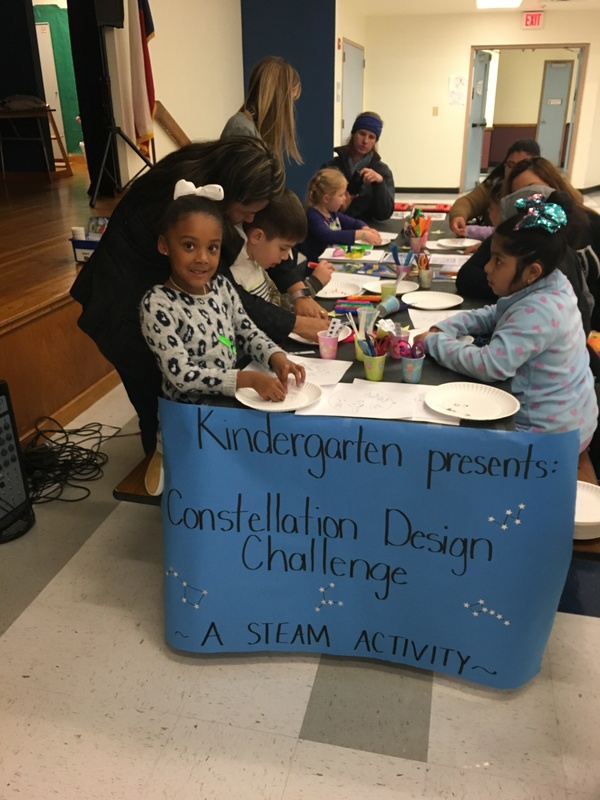 Students were able to visit different stations with activities such as a Constellation Design Challenge, Tangram Tango, Football Math, and Sound Energy. 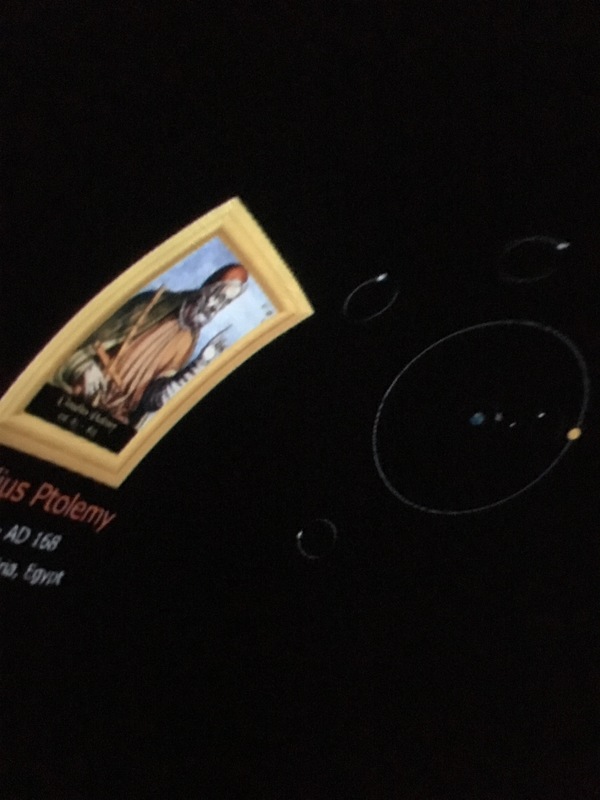 The students had an opportunity to see the Planetarium throughout the school day, but the evening event allowed students to share the experience with their families. 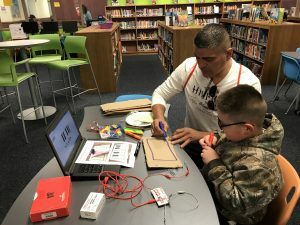 In the library, students and their families had fun playing with the Makey Makey kits. 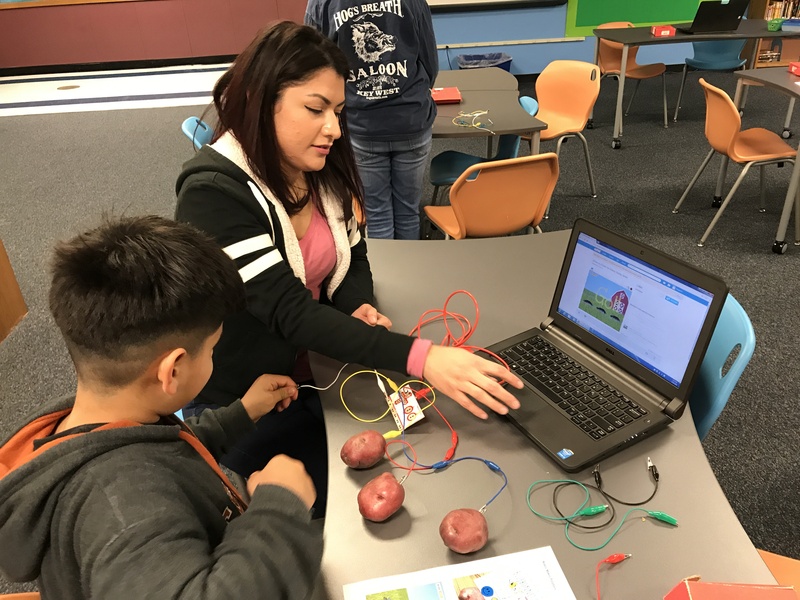 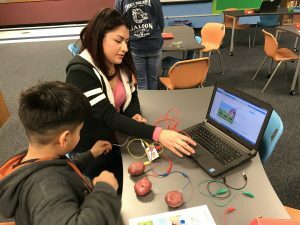 They were able to explore how circuits work and connect different objects to create a “piano” or “drums” or simply play “Whack-a-Potato” using a program called Scratch. 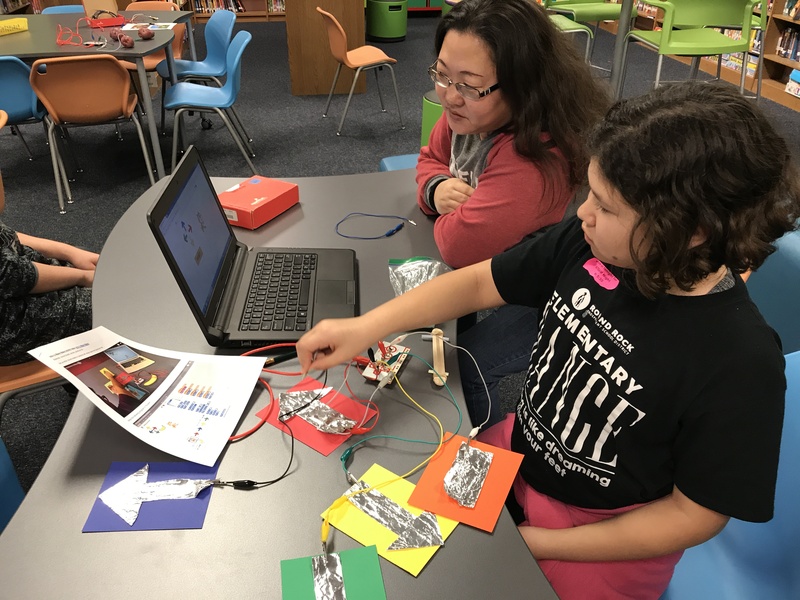 Additionally students were able to play with Dash, a robot, by either using coding blocks or an app that controlled its movements. 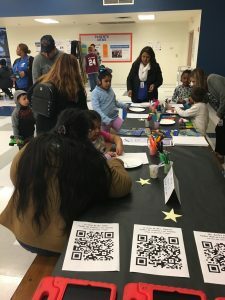 Overall, the event was a success, and Partners in Education Foundation even provided prizes that were raffled to one student from each grade level.